My postal ID has expired in June of this year. I got it in June of 2011 so it has ran its validity period of three years. Yesterday, I went to the office of the Philippine Postal Corporation in La Trinidad to have my postal ID replaced. And I was more than surprised to find out that the fees of having my postal ID replaced have more than doubled. When I went there in 2011, the cost was only 195 pesos. Now it's a whooping 460 pesos. To be precise, that's an increase of 136% in the span of just three years. As you can see, the cost of the ID itself has remained the same at 175. The majority of the increase is due to the addition of the processing fee of 200. My question is why is the processing fee so high? It only took the PhilPost employee about 15 minutes to type-in the information on the card and have it laminated. And why is it that this processing fee non-existent a few years ago only to be collected now and at a mile-high cost? What justifies the amount? 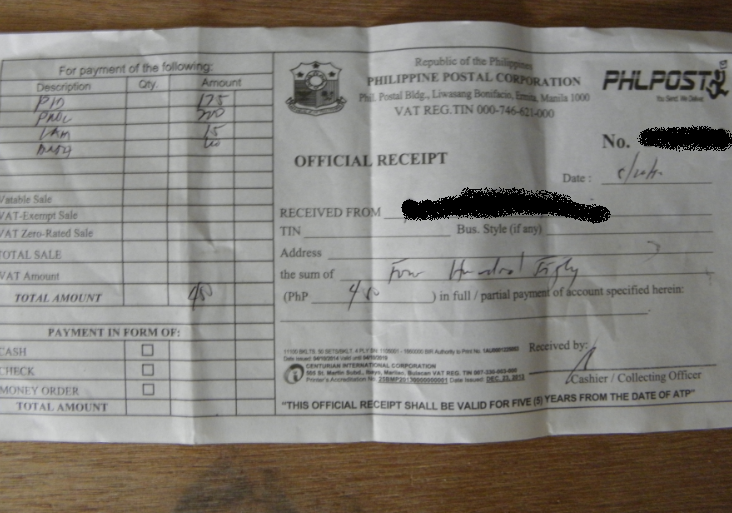 Not only that, although the official receipt states that I paid 450 pesos, the total amount I actually paid was 460 pesos. There's a difference of 10 pesos that wasn't reflected in the receipt given to me. 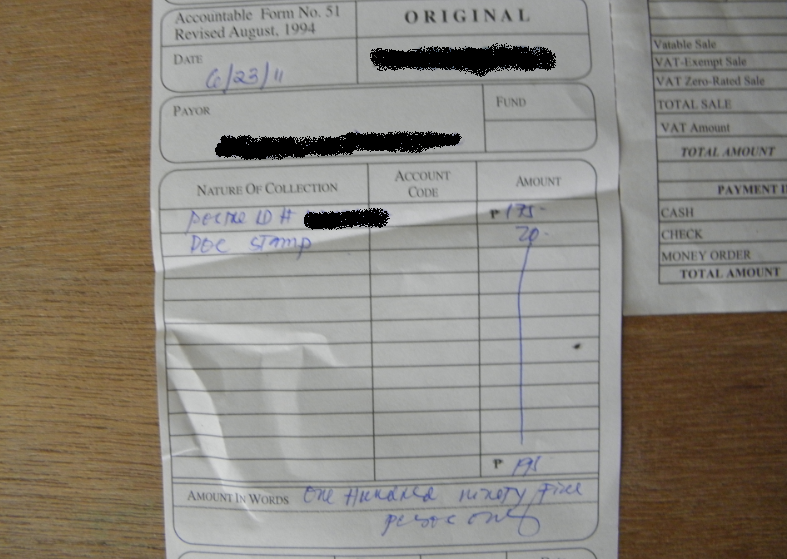 The PhilPost employee explained that the lamination fee is 25 but the amount listed on the receipt is 15. The employee justified the 10-peso difference as the cost of the lamination film. I should only pay what the receipt asks me to pay. The "lamination film" excuse is both lame and unjustified. If I'm paying for it, it should appear on the official receipt. If they can do this, what's stopping them from saying the ID is 175 but you have to pay an extra 25 for the ink and such 25 won't appear in the official receipt. The bottomline here is that I paid 460 and they gave me a receipt that says I paid 450. This begs the question of where does the 10-peso difference go? It's only 10 pesos but given the number of people getting postal IDs there everyday, the amount easily adds up. Isn't this a form of blatant corruption?